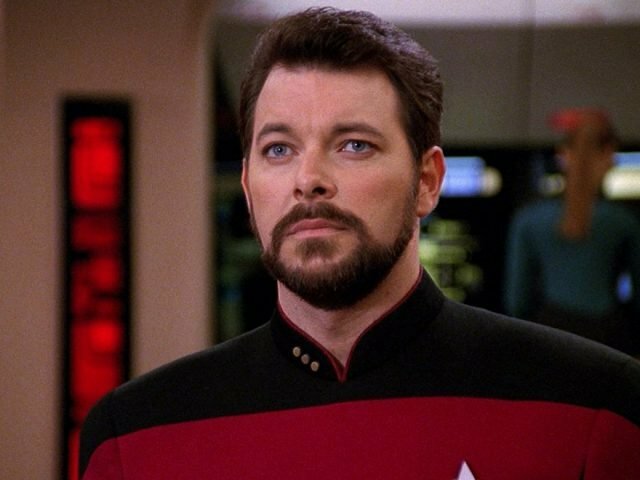 Jonathan Frakes, who played Commander William T. Riker on Star Trek: The Next Generation and in subsequent films, is set to direct an episode of the upcoming Star Trek: Discovery, EW reports. Jonathan Frakes has directed numerous episodes of television in the Star Trek franchise, as well as shows like Leverage, Burn Notice and Castle. He also helmed two theatrical Star Trek films (1996’s First Contact and 1998’s Insurrection) and is also serving as director for an upcoming episode of the Seth MacFarlane Trek-inspired FOX comedy series, The Orville. RELATED: Watch the Star Trek: Discovery Trailer! The Star Trek: Discovery cast includes Sonequa Martin-Green as First Officer Michael Burnham, Jason Isaacs as Captain Lorca, Doug Jones as science officer Saru, Anthony Rapp as fellow science officer Stamets, Terry Serpico as Starfleet admiral Anderson, Maulik Pancholy as chief medical officer Nambue, Sam Vartholomeos as junior Starfleet officer Connor, Mary Wiseman as Cadet Tilly, James Frain as Sarek, astrophysicist and father of Spock, Chris Obi as Klingon leader T’Kuvma, Mary Chieffo as L’Rell, a Klingon commander, Shazad Latif as Lieutenant Tyler, Rekha Sharma as Commander Landry, Kenneth Mitchell as Kol, Clare McConnell as Dennas, Damon Runyan as Ujilli, and Rainn Wilson as Harry Mudd. Star Trek: Discovery is set to premiere on CBS All Access on September 24. Are you guys excited for Star Trek Discovery? What do you think of Jonathan Frakes directing an episode? Let us know in the comments or tweet us @SuperHeroHype.